Happy Thursday, the end of the week is near. We have had dark gloomy skies and rain all week-long, it makes for a long week. 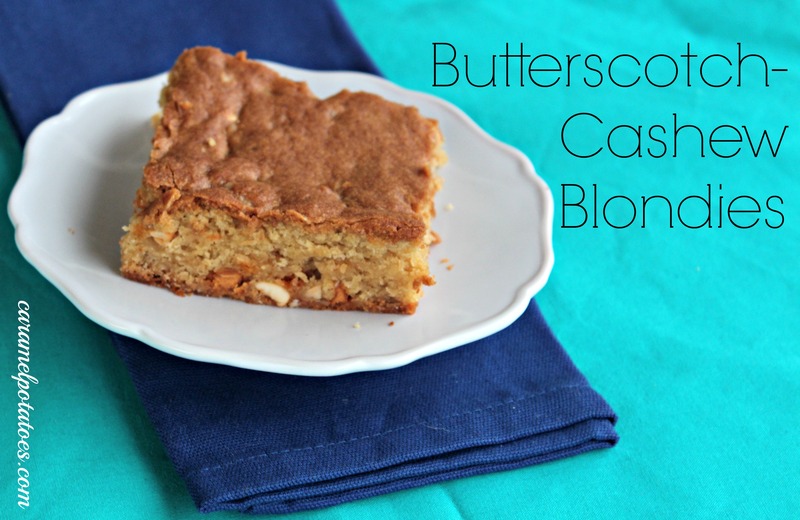 But a Butterscotch-Cashew Blondie can cheer up anyone. Be sure to have a glass of milk nearby, it’s a perfect afternoon pick me up snack. Preheat oven to 350. Butter or spray with cooking spray an 8-inch baking pan and line with parchment paper, allowing a 2-inch overhang. Butter or spray lining (not overhang). Put butter and brown sugar in the bowl of an electric mixer fitted with paddle attachment; mix on medium speed until pale and fluffy, about 3 minutes. Add eggs and vanilla; mix until combined. Reduce speed to low. Add flour mixture, and mix, scraping down sides of bowl, until well combined. 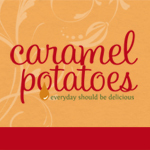 Mix in butterscotch chips, cashews and toffee. Pour batter into prepared pan; spread evenly with a rubber spatula. Bake until golden brown and a toothpick inserted into blondies comes out with a few crumbs, 40-42 minutes. Let cool slightly in pan, about 15 minutes. Lift out of pan with parchment overhang; let cool completely on a wire rack. Cut into squares.